Booth 4: Feeling Presidential ? If politics are your thing--we've got you covered. Many of our vendors have great selections of books covering pretty much any subject you are interested in. 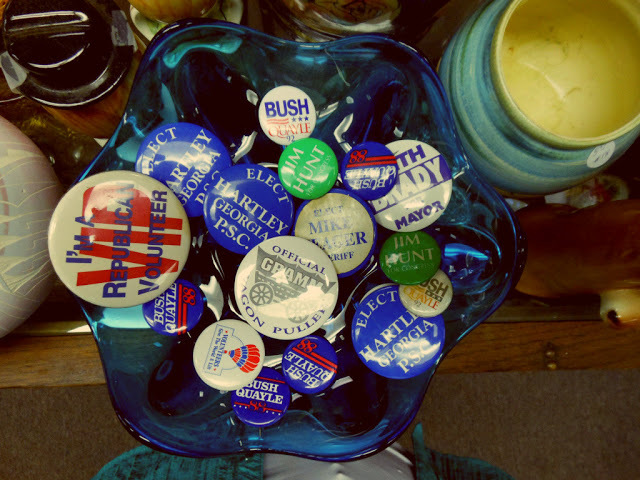 With the election just around the corner we thought we'd share a couple of books that might get your political juices flowing along with some vintage campaign buttons you can find at OCT. Don't forget to Vote and don't forget to stop by Old Capitol Treasures!